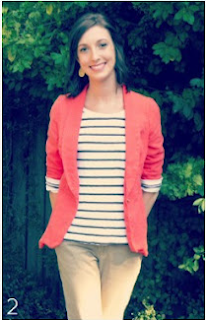 as promised, kate and i chose our favorite outfit from the first week of the challenge and the winner is: Cari from The Skinny Olive Blog! Here’s a photo of her outfit that we just love! thanks to everyone that’s linked up! we loved looking through all of your outfits and hope that you stick with us! link up with your next couple of outfits below and we’ll pick our new favorite and share it next week! I love that last outfit you look like a supermodel! Please don't take this the creepy way, but you have great legs. oh my gosh, thank you! that's so sweet! i love that yellow top! great outfits! That yellow top is adorable! I also love the first outfit, so casual yet so adorable and feminine! 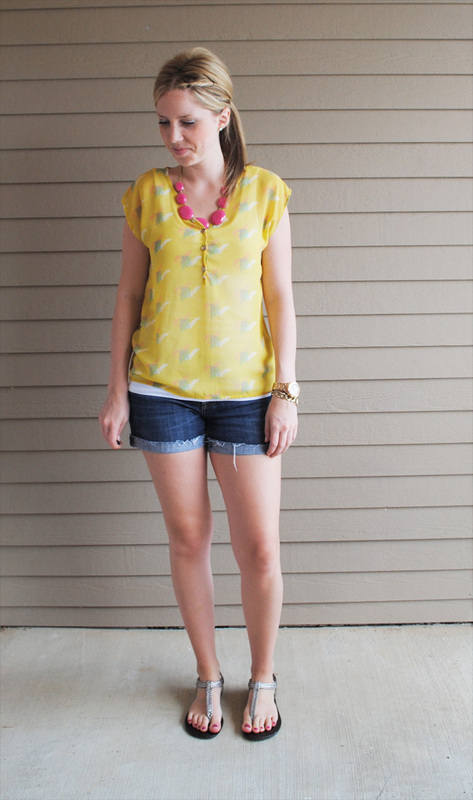 Yellow shirt in last outfit– FABULOUS. Super cute!!! I love the the yellow wedges! So great for the summer!! Also love the pops of color Lauren. So cute!! Lauren, I love the jeans from Macy's! Super cute! Also, where did you get your bracelet that you wear next to your watch? I had one just like it, but it broke, and I haven't been able to find one like it! I had no idea you guys were choosing your fave outfits! Imagine my surprise when I loaded your page and saw my own face, haha. Thanks so much for the love. I really appreciate it! Love the Charcoal grey skirt from Banana Republic outlet did you just get that does it have a style number? it doesn't, unfortunately. and i got it about a year and a half ago so it's probably not still in stores. LOVING that last outfit! Especially the yellow top! You went casual, but you could also dress it up. Adorable!!! Love all three outfits. Oh… what I wouldn't do to be able to pull off a pair of colored skinny jeans. You wear them well! All these are adorable!! But I am IN LOVE with that last outfit!! 🙂 So cute!! Ps. Francesca's is my all time favorite boutique! 🙂 I love that you and your sister love it too! Totally off-topic comment, but I love your ponytail here! Casual but cute! not at all! we'd love to have you link up! Cute cute cute! The yellow wedges look great! A nice bright pop of color. All three looks are fabulous lauren! 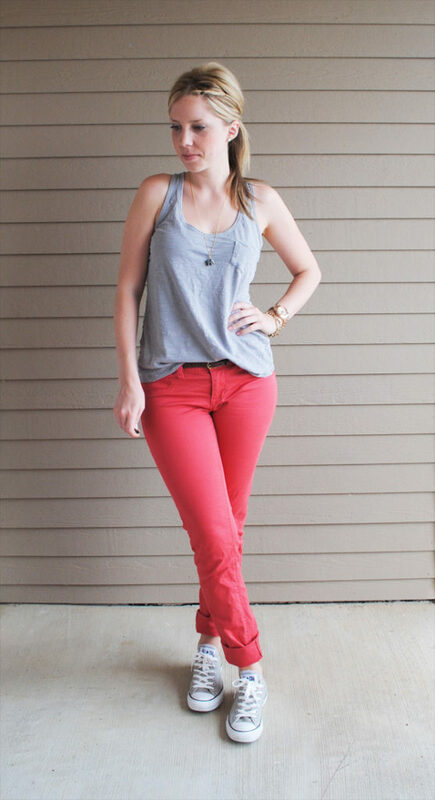 Love those colored jeans too! Sorry for the delayed link up! I post my 30×30 on Thursday!! This is such a great idea! !